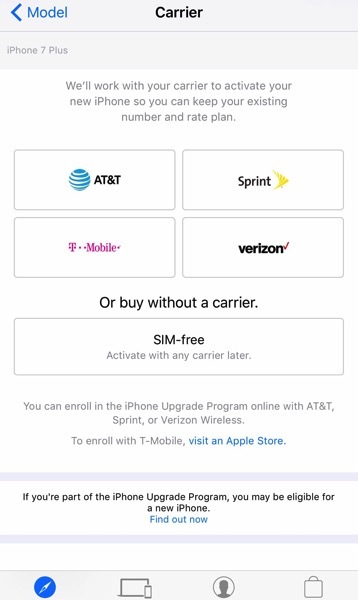 Almost one month after the launch of iPhone 7 and iPhone 7 Plus, Apple is finally offering its latest flagship smartphones SIM-free in the U.S. at its retail stores and through Apple.com. 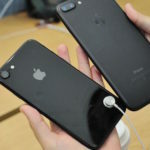 According to the website, the factory unlocked SIM-free iPhone 7 and 7 Plus handsets are not associated with any single carrier and do not include the usual carrier-specific SIM card, which allows buyers to use them with any SIM card from any supporting carrier. Factory unlocked iPhone 7 and iPhone 7 Plus in the U.S. are available at same prices as those tied to the wireless carriers, with iPhone 7 models starting at $649 for 32GB of storage, $749 for 128GB and $849 for 256GB. Similarly, the iPhone 7 Plus models start at $769 for the 32GB version, then go up to $869 and $969 for 128GB and 256GB of storage, respectively. As of now, black, silver, gold and rose gold iPhone 7 and 7 Plus models are showing delivery dates between Oct. 17 and Oct. 19, while the shipping times for the high-demand Jet Black version have already been pushed to 6 to 8 weeks.